The lightweight, small diameter, rubber covered attack hose that packs a big punch. The heat and chemical resistant, nitrile/PVC through-the-weave design provides peak performance and maximum flow. With a test pressure of 600 psi and a range of temperature tolerance from -35 °F to 1200 °F, Dura‑Flow clearly outperforms conventional rubber covered attack lines. A rugged, thick ribbed outer jacket construction makes the hose highly resistant to kink, impact, punctures, cuts and abrasion. 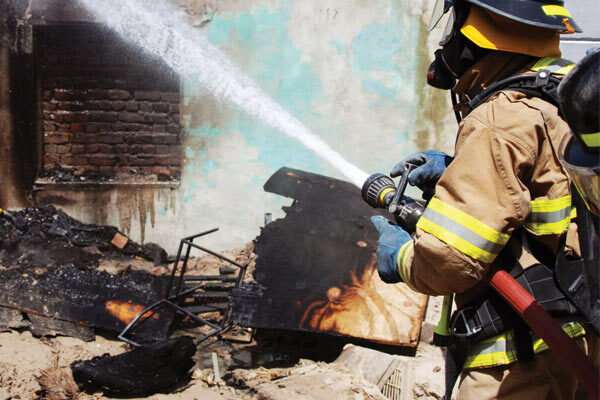 Ozone resistant, maintenance-free and no drying required, make Dura-Flow a reliable weapon in a firefighter’s arsenal. NFPA compliant and UL listed. Dura-Flow is made from 100% high tenacity synthetic polyester yarn, circularly woven and completely protected by a through-the-weave extruded PVC/Nitrile rubber, forming a single homogeneous construction without the use of glues or adhesives of any type. Dura-Flow is guaranteed to withstand 10,000 cycles on the Taber Abrasion Machine (H-22 Wheel: 0.5 kg) without exposing the liner. Dura-Flow coupling options are as required by purchaser, expansion ring threaded, Storz clamp ring, etc. Barcode recess available at additional charge. The minimum burst test pressure when tested in accordance to NFPA 1961 on all Dura‑Flow diameters shall be 900 psi / 62 bar. Service test pressures stenciled on the hose shall be in accordance with current minimum requirements of NFPA 1962. 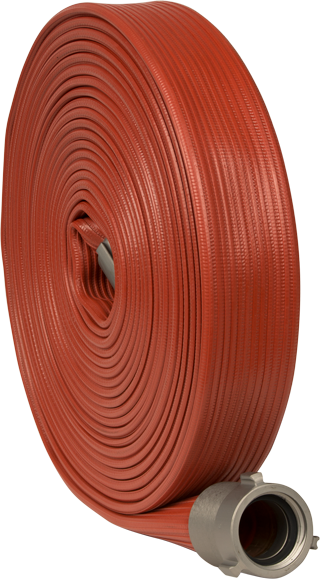 Dura-Flow hose shall carry a 10-year written warranty against defects in materials and workmanship.